Here’s a quick fact for you: online shoppers spent £1.39 billion over the Black Friday weekend last year (including Cyber Monday). Here’s another: according to Google, customers make 33% more online shopping queries on Christmas Day than on Black Friday! So if you’re worried you’ve missed the Black Friday rush, don’t worry – you’ve still got plenty of time to capitalise on the holiday traffic in the final run up to Christmas. 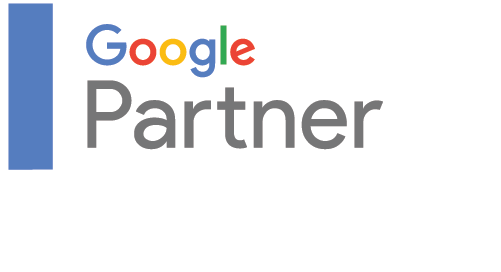 We’ve got you covered there; here are a couple of tips to make sure your PPC campaigns are precise, targeted, and delivering maximum results. A great way to kickstart your PPC campaigns is by focusing at of them on your best-performing products. This is a great way to hook in your loyal or returning customers who’ve bought these before, while their proven popularity means they’re a great bet to attract new customers, too. If you’re using Shopping Ads for your PPC campaigns, create dedicated shopping campaigns for your most profitable products, or those with the best promotional deals. This way, you can set them their own dedicated budgets, and use benchmark bids as a guide to increase your own bids for that extra impression share. Here’s the thing: if you’ve got something unique to offer your customers, you need to make sure your campaigns are properly communicating that. One of the most effective ways to do this is to ‘granulate’ your campaigns. In other words, rather than creating a single generic ad for your promotions, create separate versions for each ad group instead. This allows you to be as specific as possible about what you’re offering. The logic behind this is simple: the more specific and targeted your ads are, the more relevant they’ll be to a greater number of customers, which makes them more likely to yield better results. So, for example, let’s take electronic products. These are some of the nation’s biggest sellers on Black Friday, and that momentum often carries right on through until Christmas, too. If you sell electronics, instead of a generic ad that says “discount on electronics” you’ll instead want several different ads like “discount on Playstation 4” or “discount on plasma TVs” or “discount on android phones”. Someone looking for a plasma TV is more likely to click on the second, more specific version of the ad rather than the more general, vaguer version above. Search traffic always skyrockets over both the Black Friday sales period, as well as over the Christmas break (not to mention the surprising amount of traffic your campaigns can tap into on Christmas Day!). If you don’t adjust your budget to account for the increased activity in these periods, you might even find out that it runs out just when you need it most, potentially costing you huge amounts of traffic and therefore, sales. To avoid this, it’s definitely worth increasing your budgets for the Black Friday sale period, as well as the final half of December. You’re probably already familiar with ad extensions. Essentially, they’re exactly what they sound like; extra sections on your PPC adverts that give you the chance to communicate a bit more information and increase your Ad space on the page. One that you’ll find particularly useful is callout extensions, which highlights special elements of your service, such as a personalised product or free delivery. You can use this to focus on particular aspects of your products or service you feel might be especially relevant to Christmas or Black Friday. Alternatively you can just use them for phrases like “Black Friday deals” or “Christmas sale” to catch the eyes of sale-oriented shoppers. OK, so we know we’ve only said four secrets in the title, but since you’ve read this far, we’ll give you an extra bonus one: don’t neglect mobile shopping! Last year on Black Friday, over 66% of UK sales were driven solely by mobile, and this year it’s on track to deliver 68% of ecommerce visits between the beginning of November and Christmas day. That means if your campaigns aren’t set up to account for mobile shoppers, you could automatically be cutting yourself off from a huge portion of traffic. It could be worth building campaigns tailored specifically to mobile, or utilising the ‘Click-to-Call’ feature on Google Ads. Of course, if any of that sounds a little daunting, we’re always here at help at 21Digital. Pay Per Click management is one of the core services we offer, and we’ve got a great track record of using it to bring fantastic results for clients like Savoy Timber, a North-West based timber merchant. You can read more in our case study here, or alternatively just give us a call on 01254 660 560 for a quick chat about what we can do for your business! Sam Fletcher is Twentyone’s Managing Director, responsible for overseeing all strategic digital marketing, with a personal specialism in PPC (Google Ads). 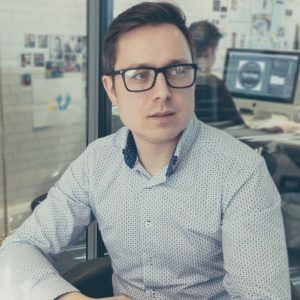 A keen mountain biker and motoring enthusiast, he has a lifelong dual passion for both business and design, which he now uses to come up with bespoke, creative marketing campaigns.